The Devil Makes Three has announced tour dates in support of their forthcoming album, Chains Are Broken, set to release later this summer with a slew of shows to follow. Hailing from Santa Cruz, California, the country-rock group is scheduled to stop for a handful of shows in their home state, including Oakland, Chico, Eugene, Sacramento, Los Angeles, San Diego, and San Luis Obispo. The tour will kick-off in Nottingham, UK on September 10, and continue in cities like London, Berlin, Amsterdam, and Hamburg through late September before they head back to the U.S. The North American leg of the trek will begin on October 24 in Flagstaff, Arizona and wrap-up on November 10 in Portland, Oregon. Preceding the tour, the group will make stops at various music festivals including Wisconsin’s Blue Ox Music Festival, Vermont’s Friendly Gathering, and the Taste of Randolph in Chicago, Illinois. 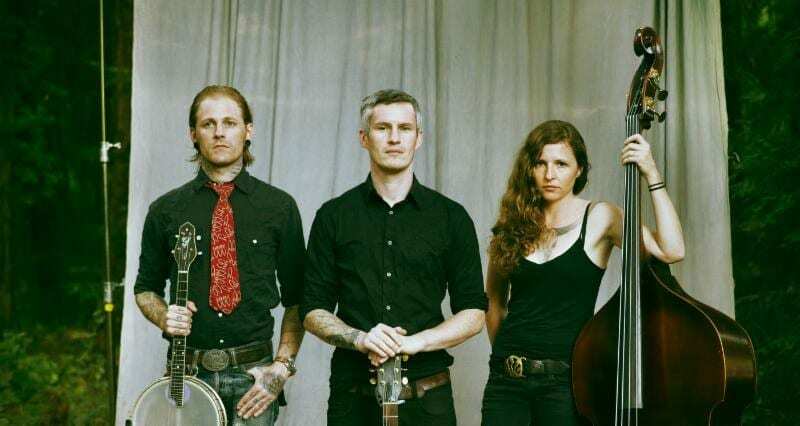 The trio, Pete Bernhard, Lucia Turino and copper McBean, will be joined by touring drummer Stefan Amidon. There is no announcement at this time of opening acts. Chains Are Broken is the band’s first record featuring new material in five years, following their 2013 LP I’m a Stranger Here. The 11-track album will feature mixes of country, blues, rock and folk with the single “Paint My Face,” released last week. The record is due August 24 via New West Records. Check out the full list of tour dates below and visit Ticket Club to find tickets to a show this year.